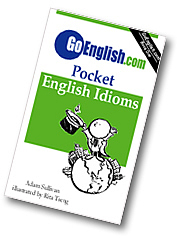 Today's Idiom = "Go Stag"
Going stag is going to an event without a partner. Example: "Who are you going to invite to the big dance." Reply: "We're going stag."